Venlafaxine (e.g. Effexor, Lanvexin, Viepax or Trevilor) is a psychoactive drug used for the treatment of depression or anxiety disorders. It is an antidepressant of the serotonin-norepinephrine reuptake inhibitor (SNRI) class. 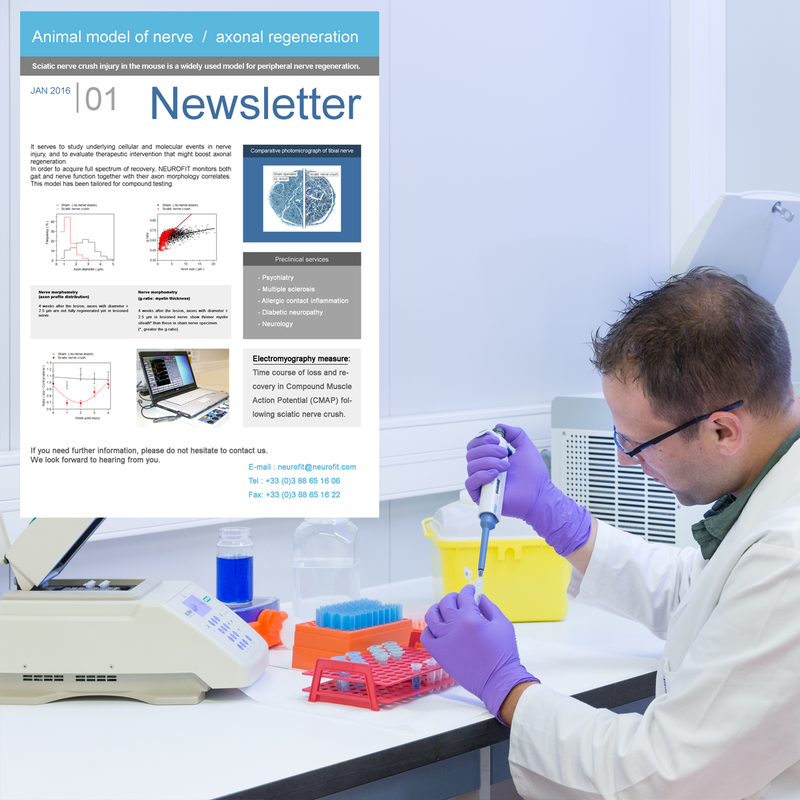 Here we provide a clear-cut result that validates the effect of Venlafaxine in a behavioral test routinely used at NEUROFIT to test predictive value for anti-depressant and/or anxiolytic drugs. 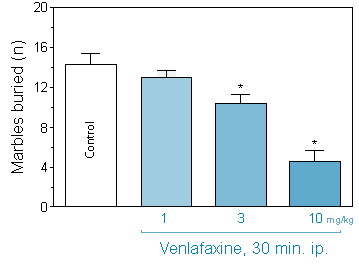 ■ Treatment with Venlafaxine reverses the burying behavior of mice placed in a novel environment. 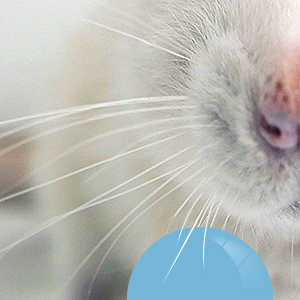 ■ Marble burying test is a known and validated paradigm to test the anti-depressant/anxiolytic effect of drug treatments in mouse. ■ Indeed, this test model has proved to be sensitive to the anxiolytics such as benzodiazepines, and to anti-depressants such as Fluoxetine (SSRI).